Liver is not just another vital organ. It is the most hard-working organ in the human body and works 24×7 to ensure that the digestive system is maintained in tact and working well. One of the principal jobs of Liver is to filter the blood coming from the digestive tract before letting it pass on to the rest of the body. The liver is also responsible for proper detoxification of chemicals and metabolizing of drugs. Also, the liver is in charge of producing the necessary proteins important for blood clotting and other functions. There are several factors that might potentially disturb the smooth functioning of the liver. Fatty liver disease, infections etc. are some of the common problems that arise as a result of lifestyle and hereditary reasons. These, though less harmful, might get worsened in to serious stages like Cirrhosis of the liver if not managed properly. Thus it is necessary that we do everything possible to ensure an efficient working atmosphere for the liver to go on with its duties. Most of the times a lifestyle change would work. 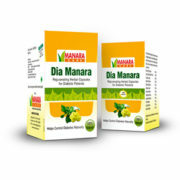 Anyhow, something extra is always more beneficial – something like a premium liver supplement that would ensure that everything necessary for the proper functioning of the liver is assured. Here it is – Manara Johntee. 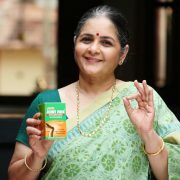 Consume 2 capsules, 2 times a day, preferably after meals. 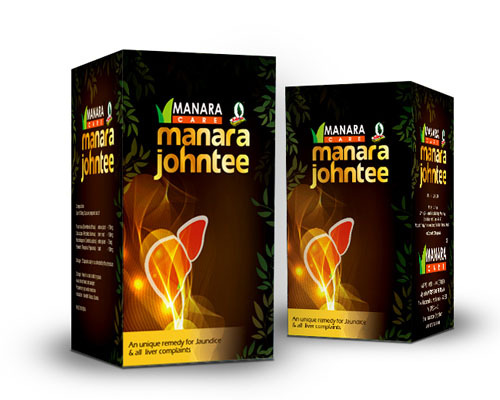 Manara Johntee is an Ayurvedic medicine does wonders in treating various harsh symptoms associated with Alcohol-related Liver Disease. Manara Johntee is made in order to effectively bring about significant changes in the conditions related to Alcoholic-related Liver Disease. 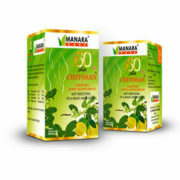 Helps to reduce the increased sensitivity to alcohol and drugs. Manara Johntee is made in order to effectively bring about significant changes in the conditions related to Alcoholic-related Liver Disease. Aided by its high-value ingredients that support steadfast liver function, this Ayurvedic medicine does wonders in treating various harsh symptoms associated with Alcohol-related Liver Disease. 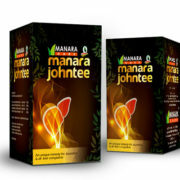 Manara Johntee also helps to prevent advanced liver-disease-related complications such as ascites and also fights against the harshnesses caused by certain types of harmful viruses such as Hepatitis B and C. Also, this wonder medicine also helps to reducce the increased sensitivity to alcohol and drugs. 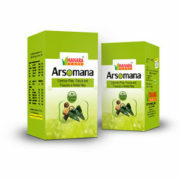 Moreover, being a purely herbal and Ayurvedic Liver supplement, you can be sure of not having any kind of side effect too. What more reasons to prefer Manara Johntee! Buy it now and stand to gain forever.